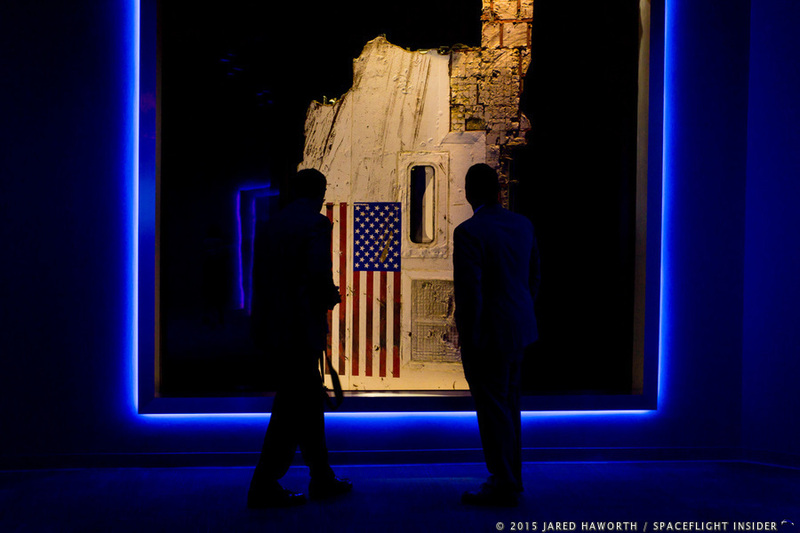 The Kennedy Space Center Visitor Complex unveiled a new exhibit honoring the crews that lost their lives on the final flights of Space Shuttles Challenger and Columbia. The "Forever Remembered" memorial was unveiled on Saturday, June 27, 2015. 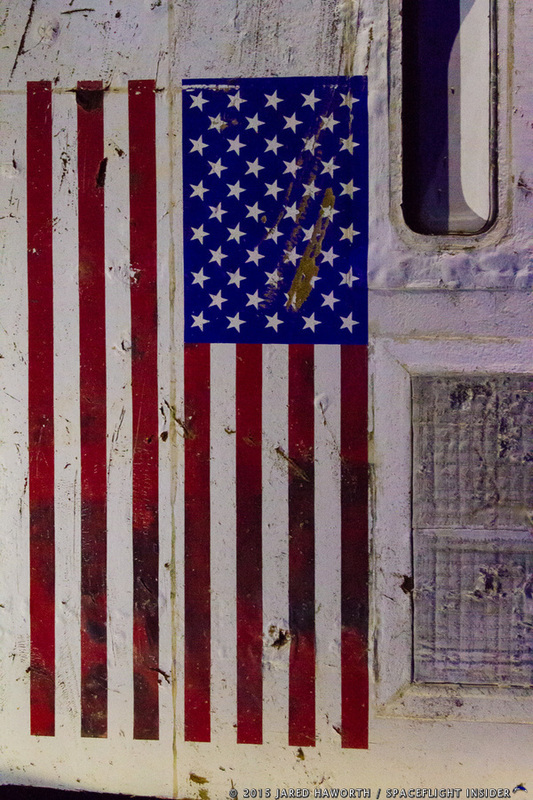 KENNEDY SPACE CENTER, Fla — They were two of the most traumatic experiences of a program that lasted 30 years. The names Challenger and Columbia will forever be tied to the 14 astronauts who lost their lives on STS-51L and STS-107 – and they will also be forever memorialized by a new exhibit at the Kennedy Space Center Visitor Complex. 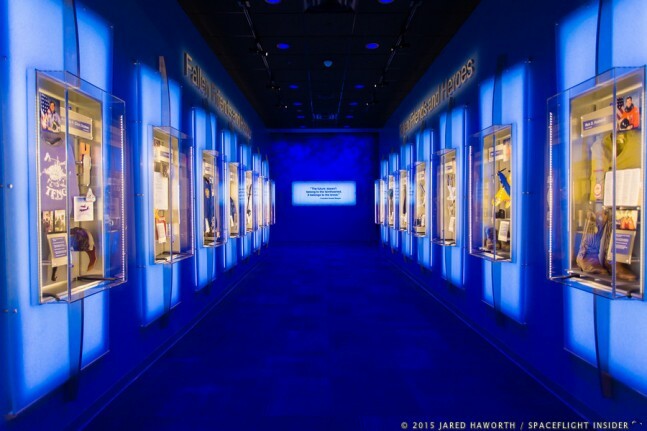 Kept secret, even from many employees at the Visitor Complex, the “Forever Remembered” exhibit was presented to the world on the morning of Saturday, June 27, 2015. The event was opened by two officials within NASA – NASA Administrator Charles Bolden and Kennedy Space Center Director Bob Cabana – each of whom has deep ties to those who were lost as they, too, were shuttle astronauts. Family members of the crews were present at the small opening ceremony. The families of the crews of STS-51L and STS-107 collaborated with NASA to create a memorial to remember and honor the astronauts, the lost orbiters, and the importance of learning from the past. 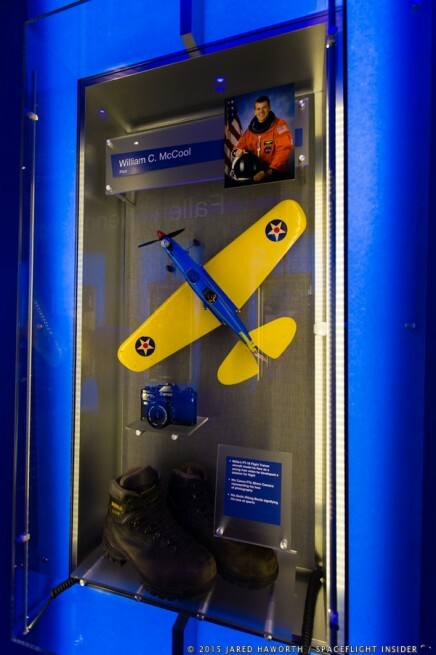 The new exhibit covers nearly 2,000 square feet, with personal items from the flight crews as well as recovered hardware from Challenger and Columbia. The memorial project lead, NASA’s Mike Ciannilli, said that “Forever Remembered” is deliberately designed to be an emotional experience. When the project began, about four years ago, Ciannilli was a NASA Test Director and Landing Recovery Director. The memorial has an array of items from Challenger on the left of the entrance, and Columbia on the right. The memorabilia on display was chosen to remember what each astronaut loved and achieved during their lives. Various family photographs, cowboy boots and a Bible that belonged to Rick Husband, a small aircraft that Michael Smith had hand-carved for his wife, Michael Anderson’s vintage Star Trek lunch box, and one of Judith Resnik’s research papers are among the myriad items on display. Some of the artifacts are owned by NASA, while others were loaned to the Visitor Complex by the astronauts’ families. The paraphernalia reminds visitors that each lost astronaut was more than a name on a mission patch; every one was a person with his or her own interests, loved ones, and life. 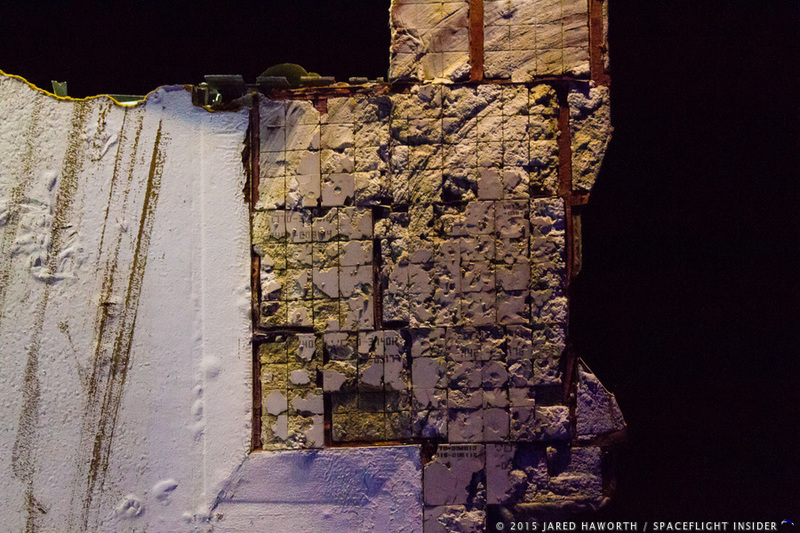 Beyond the personal collections, the memorial shows the shuttle hardware itself and the physical damage that they suffered. Part of the fuselage from the Challenger, with the American flag on it, stands to the left, while the Columbia’s flight deck windows are to the right. The impact of these components is profound – affecting sensitive and more hardened visitors alike. The final area of the exhibit covers what had to be done to recover from these tragedies – both emotionally and technically. This portion of the exhibit also details the efforts that were required to have the orbiters return to flight. NASA had always taken very seriously the task of getting the shuttles to return to the sky. Investigators had spent months after each accident seeking out what had gone wrong – and how to prevent similar problems in the future. This part of the memorial includes a looping video of letters of sympathy and hope sent by children after the tragedies as well as a video that gives a glimpse into the arduous, detail-heavy investigation process. Beautiful, powerful, poignant – and painful. The exhibit elicits an array of emotions, as Bolden himself has noted. Quotes obtained from NASA article on Forever Remembered exhibit written by Anna Heiney. We all got new assignments after Challenger was lost. Our assignments were to study and understand what went wrong and to fix the design so that it never happened again. It took a year and a lot of redesign to make sure the booster seals never failed again. And a lot of work was spent on new ways to make sure that no problem ever went un-identified and un-shared with everyone working on the program. And more importantly – that no problem was closed without the proper corrective action. We all tried to anticipate everything that could go wrong, but we were human, and we didn’t think of everything. The crew of Challenger and Columbia paid the price of our inability to anticipate all things that might fail or cause a problem. We are all forever indebted to their willingness to go where nobody has gone before, and test systems that nobody has built before. God bless them all. That is a wonderful thing to do,gone but never forgotten God bless the family’s that shared that special moment I know it was hard for everyone I read the article and it was just like it happen at that moment my ❤ was saddened so you guys keep up the good work and God bless each and everyone.